Coming out of college with an excellent credit score is arguably as important as leaving with a 4.0 GPA. Having a good credit score sets the stage for getting good terms on mortgages and car loans, and it can even help you save money on insurance premiums. It pays to get started early with a student credit card that can help you build to a super-prime 800 credit score. Explore our picks for top student credit cards, some of which are from our partners. With double cash back in the first year and $0 annual fee, this is an excellent choice for students. Other perks like a good grades credit and support for fair credit or better make this one of our favorite cards for students. 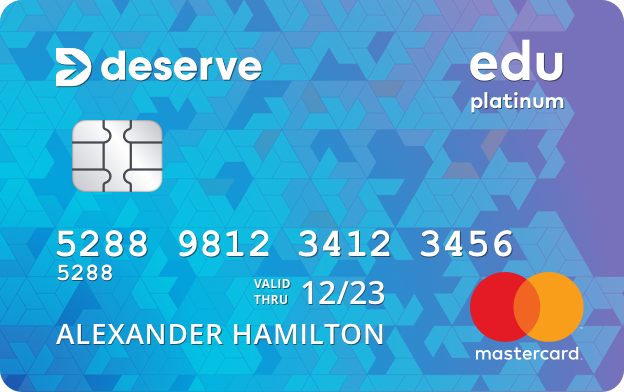 This card is one of the best ways for students to build credit and amps up the value for cardholders who are incentivized to keep their credit hygiene on point, as they can earn 1.25% cash back for that month when paying bills on time. This card will allow students build credit while earning 1% cash back on all purchases. You can get reimbursed for Amazon Student Prime up to $59 if you purchase it with the card. How old do you need to be to get a student credit card? Is it bad to close a credit card account? High approval rates -- Credit cards for students have less stringent criteria than…say, an airline travel card. We don’t want you to waste your time applying for cards you won’t possibly qualify for. No annual fees -- We think your first credit card should be one that you can keep for life. Thus, cards that have no annual fees take priority, since you shouldn’t have to decide between closing your oldest account (and harming your credit score) or paying yet another annual fee just to keep the card open. Credit building potential -- The whole point of opening a credit card in college is to build credit that will reward you for the rest of your life. We sought out cards that report your account to the credit bureaus, so as to maximize their positive impact to your credit score. We’re credit card enthusiasts who have used credit cards to earn cash back and travel rewards without ever paying a dime in interest. And having signed up for credit cards in college, we know just how advantageous it can be to start building credit before you need it to secure a mortgage or car loan. We think you’ll find that our favorite cards offer a lot of features (rewards, credit building potential, and more) that you won’t find with the average student-focused credit card. The top credit cards for college students don’t differ much from the best credit cards for everyone else. The big difference is that they are catered to students, and typically require less income or credit history than a traditional credit card. College students don’t have to fear wasting time on an application, since a student credit card offers higher approval rates than other types of cards. One advantage of starter credit cards like student credit cards is that they offer you the ability to build a banking relationship and take advantage of better offers later. While student credit cards don’t typically offer the best rewards or the highest credit limits, they can be upgraded to cards that do at a later time. Credit cards aren’t particularly difficult to get, even if you have no credit history. Credit cards are one of the most common ways that people start building up their credit reports, since they can be easier to get than car loans or mortgages, for example. Apply for the right card -- Student credit cards are designed for people who have limited incomes and credit history. While high-end travel and cash-back credit cards may be more rewarding, those cards will be more accessible when you enter the workforce after graduation. Have income -- Your income is one of the most important factors that affects a credit decision. But the definition of “income” isn’t limited to money earned from work; it can also include scholarships, paid internships, and even regular allowances (such as money your parents deposit into your bank accounts). Consider a secured card -- Students who have a little extra cash sitting around may want to also consider secured credit cards. These cards require a deposit, which acts as collateral, but they also have high approval rates. Manage your balance wisely -- It’s a simple fact that people who have smaller balances are better credit risks, which is reflected in credit scores. Credit experts and the credit bureaus often suggest keeping your credit utilization (debt divided by available credit) to less than 30%. That means if you have a $500 card, keep your balance under $150. 30% of your FICO score is influenced by credit utilization, which is why keeping balances low can build credit fast. Pay on time -- Payment history is the most important factor that goes into your credit score (your payment history makes up 35% of your score), so be sure to always pay your bills on time, and in full. Paying on time will help you avoid devastating negative marks on your credit score and late fees on your next statement. Paying in full by paying the statement balance each month will enable you to get all the benefits of having a credit card without paying a dime in interest. Doing these three things will put you on the fast-track to perfect credit, and help you get access to low loan rates for cars or homes, and potentially enable you to refinance your student loans at a lower rate after you graduate. You need to be at least 18 years old to get a student credit card. But applicants under the age of 21 will face more roadblocks, as they have to provide proof of independent income or assets to show that they are able to afford payments. Before the CARD Act of 2009, credit cards were given out like candy at universities all around the country. We remember the days when card issuers would set up booths on campus, handing out free t-shirts or event tickets for applying for a credit card. While the promotional booths may have disappeared from campuses for good, student credit cards are here to stay. A student credit card can make a great first step into the world of building credit under your own name, but credit cards should be used carefully. On one hand, a credit card can do wonders for your credit report and help you build a credit score that will pay off for years thereafter. On the other hand, using credit cards irresponsibly can put you in a sticky mess of high-interest credit card debt. You will pay your balances in full -- Credit cards are one of the most expensive ways to borrow money. Don’t apply for a credit card unless you’re certain you’ll be able to pay in full each month. You’ll pay on time -- Getting good credit has more to do with avoiding bad outcomes than doing good. Paying a credit card bill more than 30 days after the due date can result in a derogatory mark that will stay on your credit report for seven years. Being late by just a few days can cost you $30 or more in late payment fees. Don’t apply for a credit card if you think you’ll gloss over a due date. You have the income to support your spending -- People often get into credit card debt because cards allow them to spend above their means. Students should use a credit card intelligently, perhaps only for one small purchase once per month, to build credit without the risk of going deep into debt. 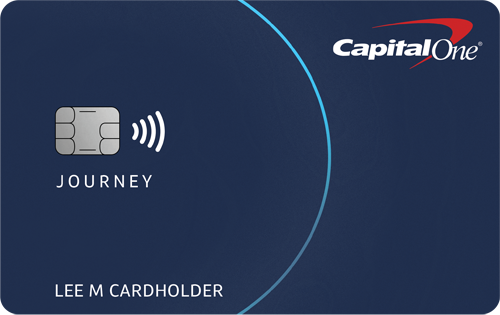 Unlimited cash back cards -- These cards, such as Journey® Student Rewards from Capital One®, offer a flat percentage of cash back on all of your spending or repayments. Capital One’s card is one of our favorites because cardholders earn 1% cash back on purchases, which is increased to 1.25% when the bill is paid on time. Category cash back cards -- These cards offer a monstrous cash back rewards yield on certain types of spending, plus unlimited cash back on all other spending. 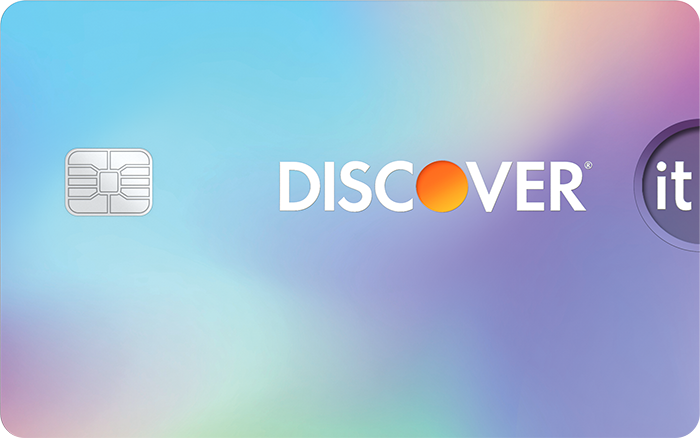 Discover it® Student Cash Back offers 5% cash back on up to $1,500 of spending in quarterly categories, and 1% cash back on all other purchases. Plus, the card ups the ante for students who get good grades, giving cardholders a $20 statement credit every year their GPA is 3.0 or better. Non-rewards cards -- Many popular offers simply offer high approval odds with a limited set of features, which is acceptable for this category where establishing credit is the most important outcome for using a credit card. While we’ll admit we like rewards cards, getting a small amount of cash back on your spending really isn’t the most important feature of a student credit card. The benefits of earning rewards are dwarfed by the benefit of building good credit history early in life, giving you a head start at graduation. It’s our view that your first credit card should have most (if not all) of the following features. No annual fee -- Few students have the spending power to justify paying an annual fee to earn higher rewards. Besides, we think your first credit card is one that you should keep open forever, so it makes sense to start with a no annual fee card. Free credit score access -- Being able to see your credit score improve over time is a massive advantage. Plus, myFICO charges upwards of $300 per year to monitor your full credit profile across the three major credit reporting bureaus. We think a free credit score is practically table stakes for a credit card, even more so in this category. $0 fraud liability -- Most credit cards (and both cards on our list) offer $0 fraud liability, meaning you’re never on the hook if your credit card is used to make fraudulent purchases. This is one reason why we typically prefer to use credit cards rather than debit cards. One of the most important factors that goes into calculating your credit score is the length of your credit history, as it makes up 15% of your FICO credit score. There are two ways to calculate your credit history, both of which are particularly important for credit scoring purposes. Therefore, if you have two credit cards, one you opened 10 years ago, and one you opened 2 years ago, your average age of accounts would be 6 years. Your oldest account would be 10 years old. Assuming you always paid on time, and kept low balances, your credit score could be nearly perfect. As a general rule of thumb, it doesn’t make sense to close a credit card account unless it is costing you money. If a card doesn’t have an annual fee, then keep it open, because the age of the account is helping your credit. If the card carries an annual fee, and you have no reason other than credit history to keep it open, then it may make sense to close the account to save the money instead. This is why we advise picking a no-annual-fee credit card as your first credit card. We want you to have a card that can be an important building block for your credit score without costing you money in annual fees year after year. Closing an account isn’t the end of the world -- even closed accounts remain on your credit report for seven years afterward -- but it’s advantageous to have at least one credit card that remains open and reporting to the credit bureaus forever.